This email scam has been around before, but it’s rearing its ugly head again. Basically, the email is written to trick you into thinking it’s about your domain name registration, when in fact, it has nothing to do with your domain name registration. Because this scam email plays on words, it’s important to know the difference between “domain name registration” and “search engine registration”. If you have a website, then you had to register the domain name with a domain name registrar like GoDaddy, Tucows, BareMetal, or other provider, or have someone register the domain name on your behalf. This is also known as “purchasing a domain name”. Normally, you need to renew your domain name registration annually, though some providers offer discounted extended terms. So, once a year you can expect an official billing email from your registrar asking you to renew. This is a legitimate request and you should always keep your domain name registration up-to-date. Domain name registration costs are generally in the $10 to $20 per year range. 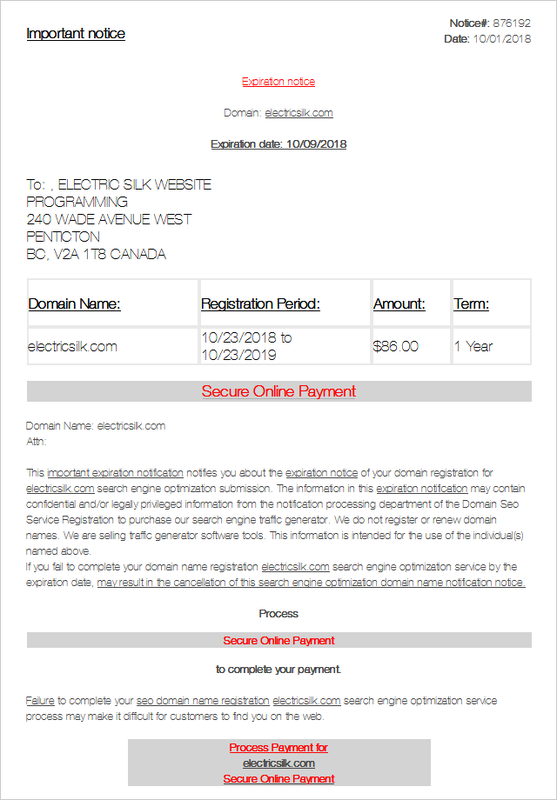 This series of scam emails will make it sound like your domain name registration needs renewal by using misleading phrases like “This important expiration notification notifies you about the expiration notice of your domain registration for yourdomainname.com search engine optimization submission“. Costs for these scam emails are generally in the $50 to $100 range, so the cost alone should be a red flag. What should you do if you receive scam emails? First of all, don’t panic! 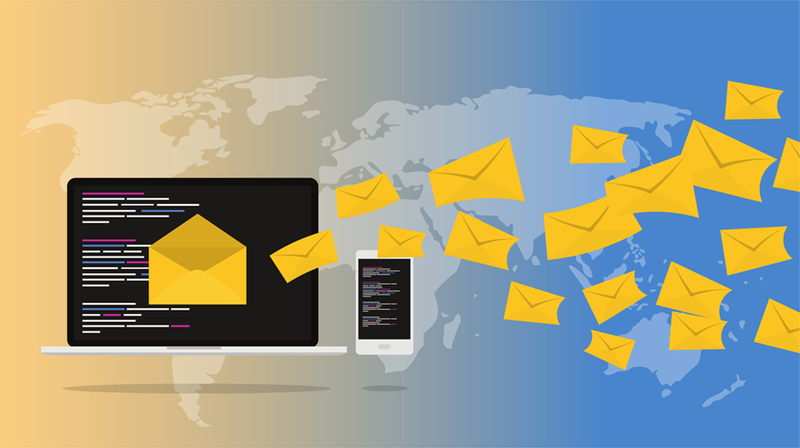 Senders of these types of emails do not know who you are – they only have a contact email address that they most likely gained from your WHOIS information. These people are vultures who prey on those who don’t know any better, and they try to make you act hastily so there’s no time to consider their fraudulent motives. As always, “Caveat Emptor” prevails – buyer beware. If you receive emails or invoices from unknown sources, most likely they are scams. Carefully read any emails BEFORE clicking on any links. NEVER open attachments from unknown sources. And arm yourself with knowledge – if you receive a suspicious email, use Google to search for the email subject or parts of the email body. If it’s a scam, it will likely show up in the results. Contact us anytime if you think you’ve receive any scam emails, or if you have any other web-related questions.